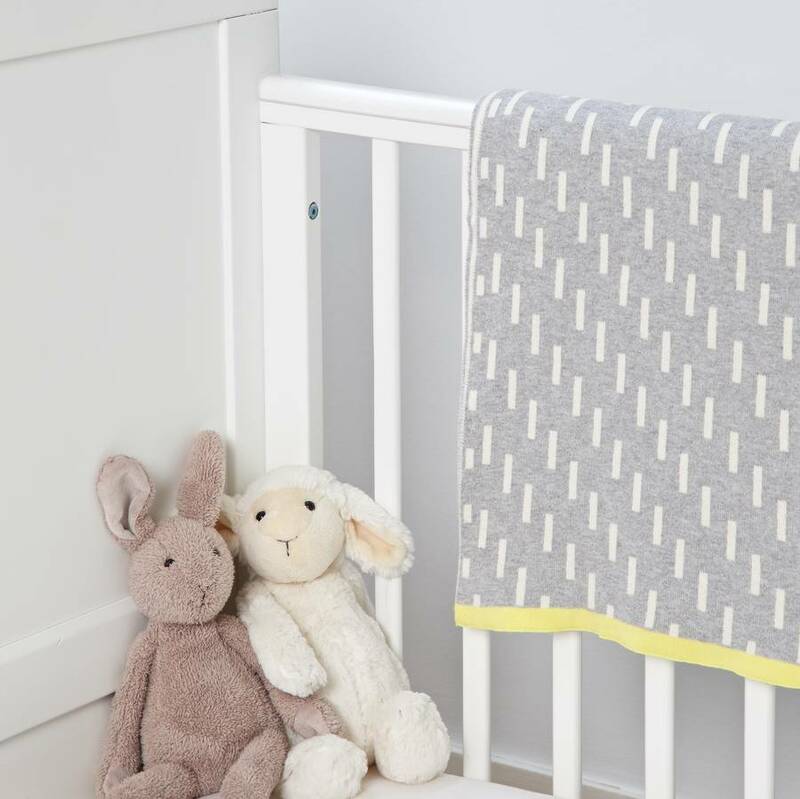 Beautifully soft knitted cotton blanket in unisex colour and design. 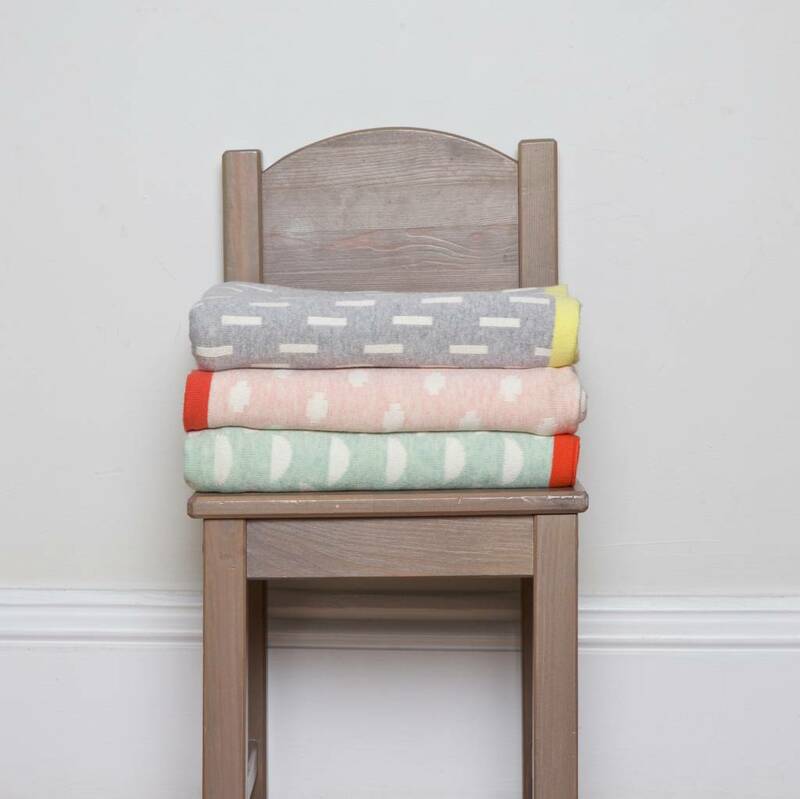 Our warm, cozy and super soft knitted cotton blankets make a perfect gift. We love the splash of yellow which is guaranteed to add a little sunshine to your day! 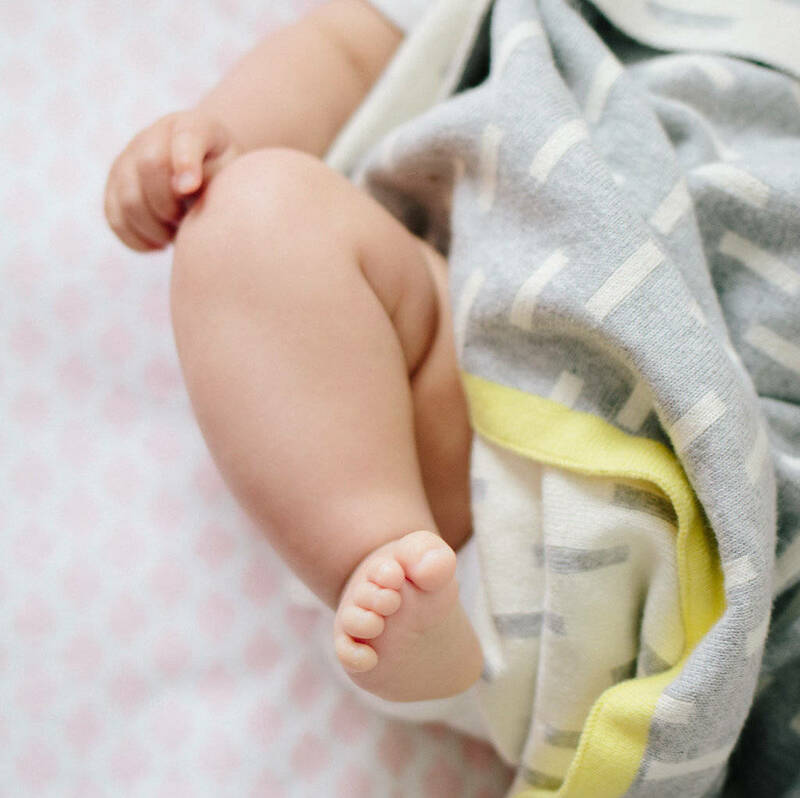 Perfect for the pram, little beds, or to snuggle under on the sofa, this versatile blanket is also reversible, making us love it even more. 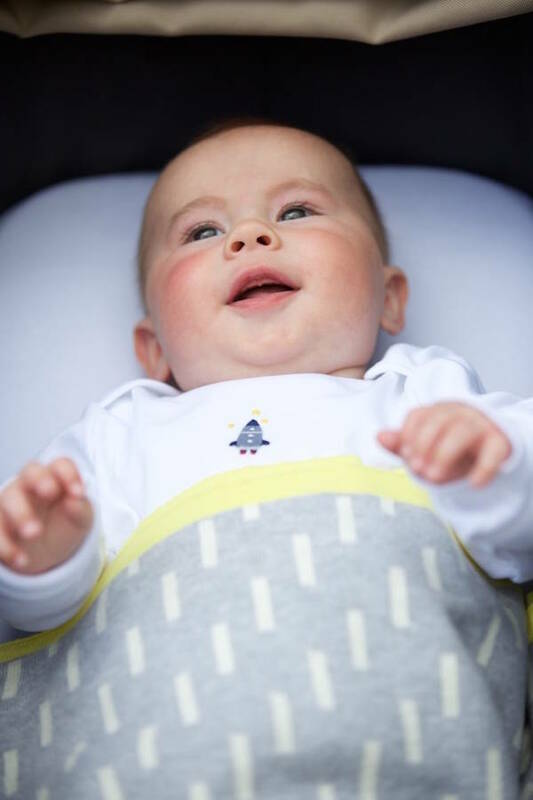 A wonderful gift for any new parent and baby. 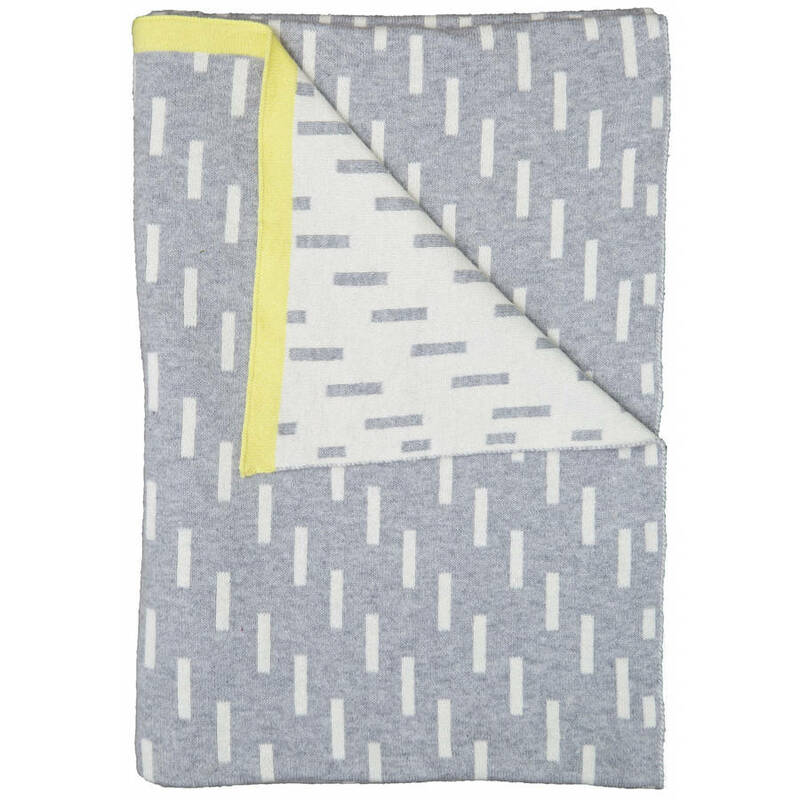 See our storefront for more blanket designs. Tissue gift wrap and personalised gift card is included as standard. 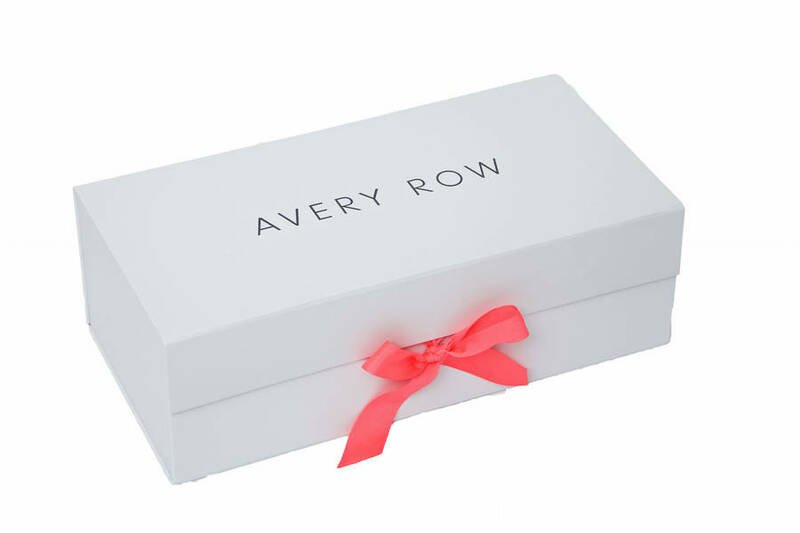 Luxury gift box also available. 100% cotton. 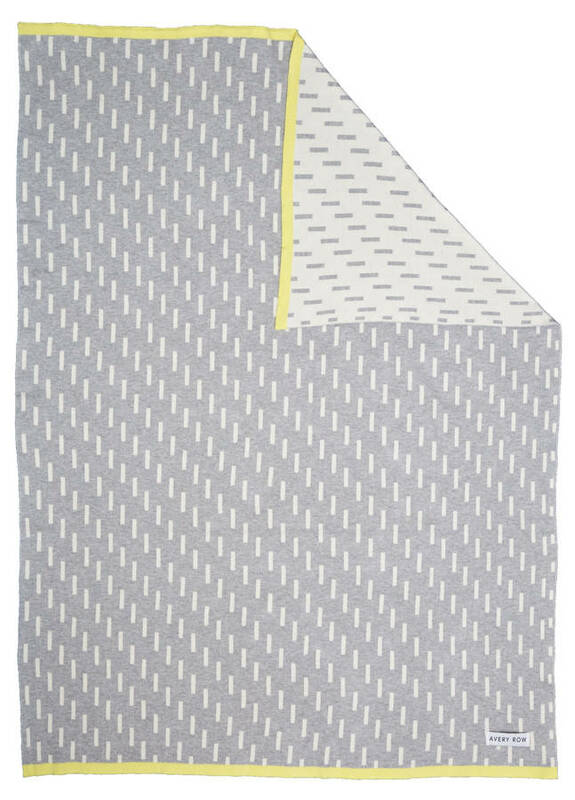 Grey & ivory with yellow border. Machine wash gently at 30°C, tumble dry normal.